​​​I’ve been using Aloe Vera gel in place of serum for several months now. I have dry and oily skin at the same time, so it’s hard finding a good balance to keep my face happy. Serums seemed to lock moisture in without leaving my skin feeling oily and was generally non-comedogenic, meaning it doesn’t cause breakouts. 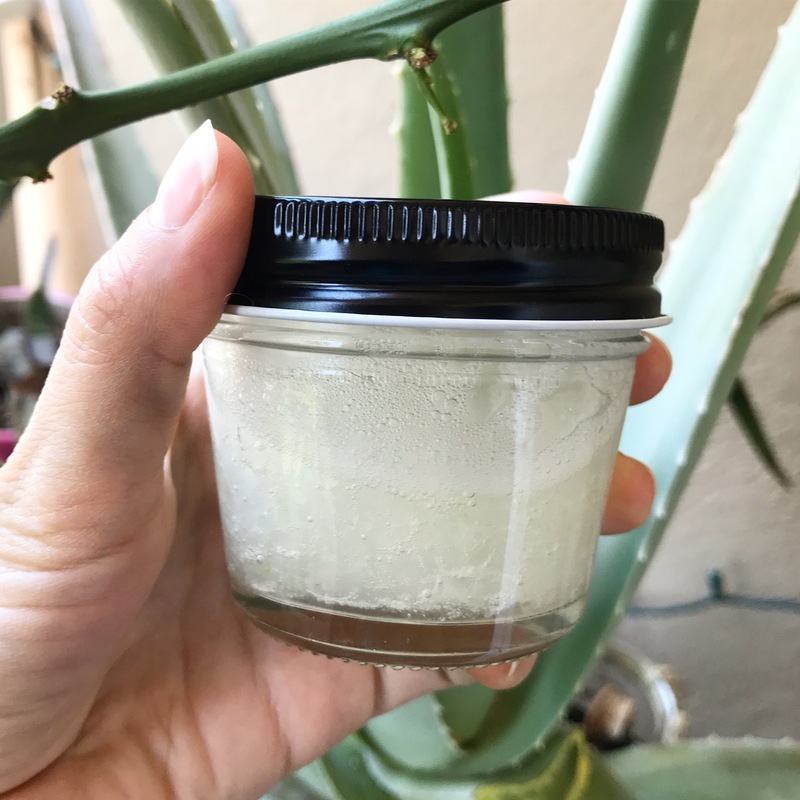 I use gel from my own aloe plant, so I know exactly what went into the soil. It’s difficult to find organic aloe plants, I still have not found any. But my aloe plant is healthy and grown in organic soil, so it’s the closest thing I can find. 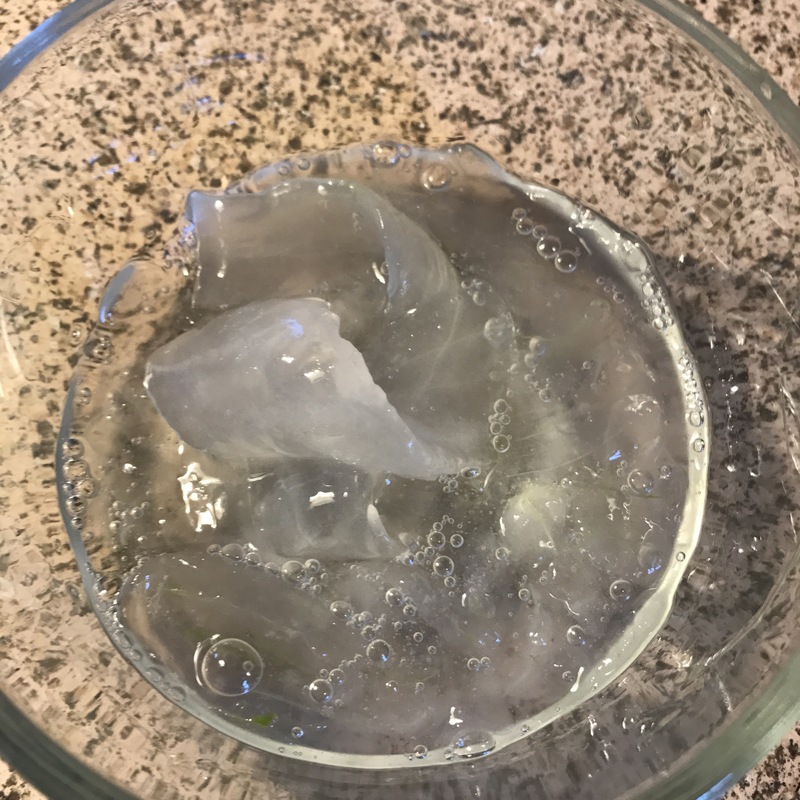 I avoid buying aloe gel commercially because it comes in plastic, it usually contains other less desirable ingredients, and it can be very expensive. 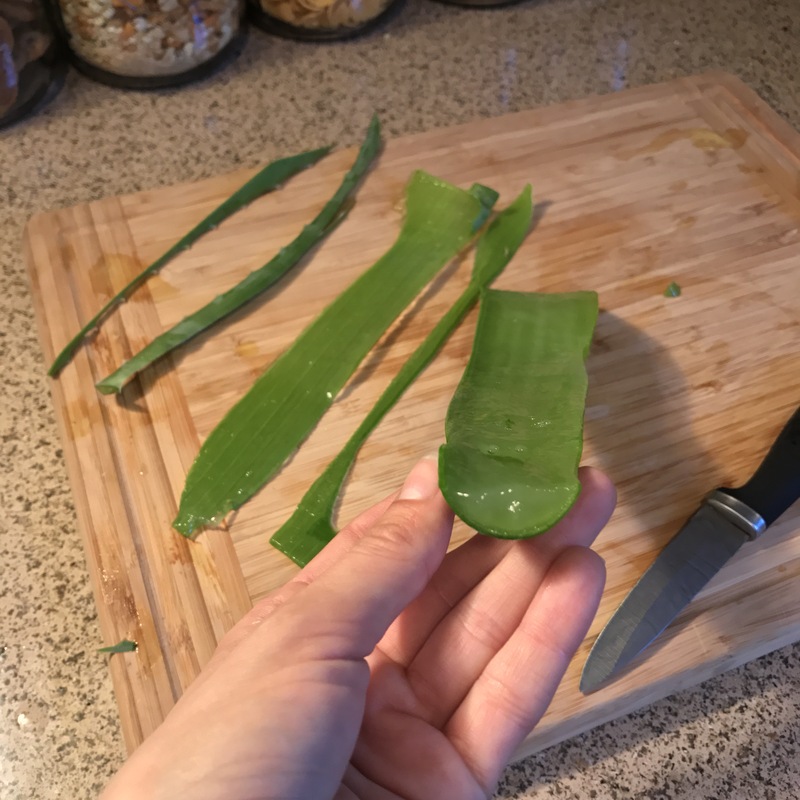 Just one stem from an aloe plant creates enough gel to last me 2-3 weeks in the fridge, if I apply it once or twice a day. Personally, I’ve used it for years to treat sunburns. I recently started using it in place of facial serum as a natural moisturizer. After a few months, I think it works just as well. 2.) With a pairing knife, carefully cut down both sides, removing the prickly pieces in a strip. 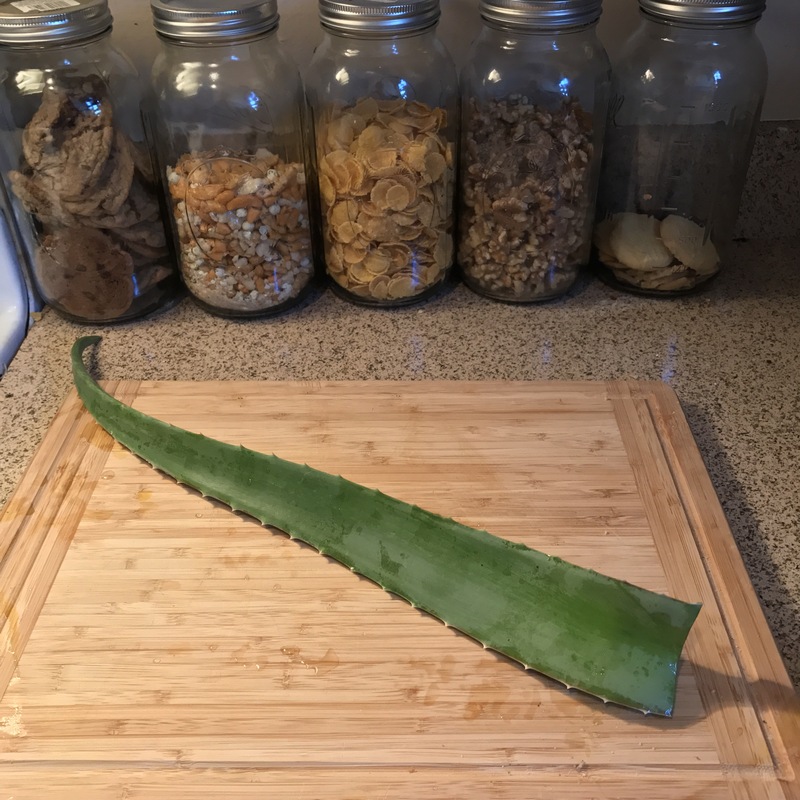 Then cut off the top surface of the remaining aloe stem, leaving a piece that is shaped like a canoe. 3.) Take a spoon and scrape the gel into a dish, it’s really fun! ​​4.) Take a fork and break it up. You can alternatively use a blender, but my blender always smells like peanut butter. This process can take about 3-5 minutes by hand. You’ll want to scramble it, essentially, like a cellulose egg. 5.) Finally, transfer the goopy contents into your favorite container and pop it into the fridge. Keeps for 2-3 weeks. Some people add capsules of Vitamin E, Vitamin C, or essential oils. But I’m a purest. **Just inform your household that you did not take a souvenir home from a JAV film, and that this is legit aloe vera gel. Homemade. DIY. Zero Waste. Aww yeah.